The recently announced Philadelphia law, which will go into effect on July 17th, 2011 will “ban the box” on employment applications. The “box” in question is the question commonly found on employment applications that asks applicants to check if they’ve been convicted of a crime. What does the “ban the box” law say, specifically? Why the need for such a law? The Philadelphia law is intended to expand employment opportunities for past criminal offenders who may otherwise be eliminated as soon as they turn in an application. Often, applicants will be denied based on a criminal record many years or decades old that has no bearing on the position sought. Proponents of the legislation claim that the new law will help remove some of the obstacles for qualified applicants, who may find themselves struggling with unemployment because of a past conviction. Nationally, Philadelphia’s law follows a growing “ban the box” trend by states and municipalities, including California, Connecticut, Massachusetts, Hawaii, New Mexico, and Minnesota. Additionally, over 25 municipalities, such as Boston, Chicago, and Atlanta have passed similar legislation. Philadelphia’s law stands out among the others passed because it includes private employers. Does this mean you can’t perform a criminal background check? 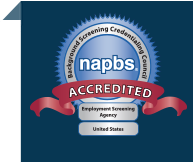 Looking for Employment Screening Services?